democracy have ultimately depended, like religions, on faith, myths, rites, and symbols. 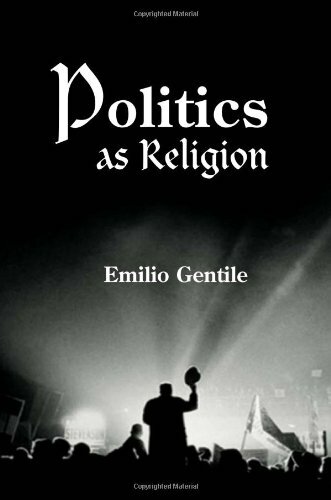 Gentile maintains that the sacralization of politics as a modern phenomenon is distinct from the politicization of religion that has arisen from militant religious fundamentalism. Sacralized politics may be democratic, in the form of a civil religion, or it may be totalitarian, in the form of a political religion. Using this conceptual distinction, and moving from America to Europe, and from Africa to Asia, Gentile presents a unique comparative history of civil and political religions from the American and French Revolutions, through nationalism and socialism, democracy and totalitarianism, fascism and communism, up to the present day. It is also a fascinating book for understanding the sacralization of politics after 9/11. A Never-Never Religion, A Substitute for Religion, or a New Religion?